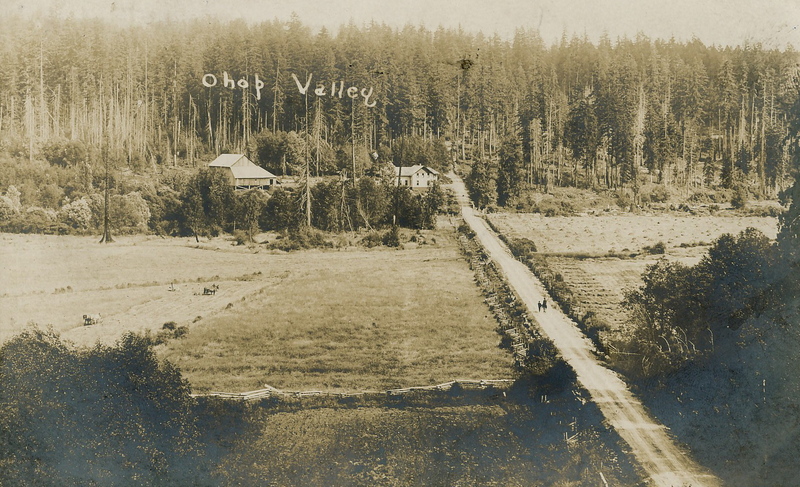 When you hear about Ohop Valley, you probably think of the Pioneer Farm or the Nisqually Land Trust, where they are doing a lot of restoration work on the creek. Up until the 1980s through, the valley was primarily farming country. 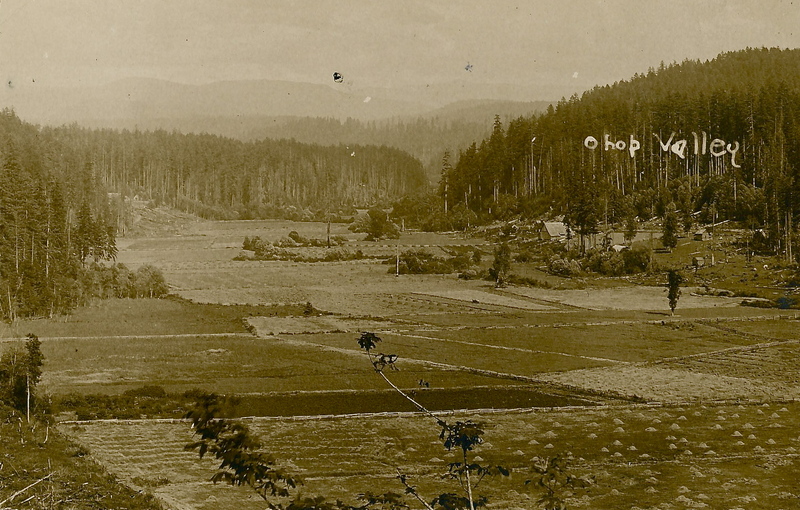 Dairies were sprinkled from one end to the others, and fields were growing corn and hay. The first shot is an overview of the valley. The second is of the home of Toger Peterson. He was the first to come out and survey the valley. The property is now owned by the Nisqually Land Trust.